SK Telecom T1 beat KT Rolster in their first match of 2017. The revenge series is in just three days. The match lived up to the hype. Yesterday’s highly-anticipated League of Legends series between SK Telecom T1 and KT Rolster turned into one of the best of the year. Fans got everything they wanted: Crazy micro, impeccable macro, and some Rumble ults that would blow your mind. The matchup featured teams that play distinct styles, and for much of the night it looked like KT’s would prove stronger. Their ability to pressure multiple lanes around veteran jungler Go “Score” Dong-bin gave them early map advantages in all three games. SKT still looks like they’re integrating Yoon “Peanut” Wang-ho, and it sometimes looks like he and Lee “Faker” Sang-hyeok aren’t on the same page. But SKT is tremendous at teamfighting, and in game one they drafted a team composition that would scale incredibly well into the mid game. Even after Rolster got off to an explosive start they had to be afraid of the eventual power of Faker’s Ryze and Bae “Bang” Jun-sik’s Ezreal. Let’s talk about that Ezreal. It was breathtaking. Bang never ceases to impress on the shifty mage, and going up against another preeminent ADC in Kim “Deft” Hyuk-kyu, he again stepped up to the plate. After overcoming a tough lane to stay even with Deft, he proved in one pivotal mid game fight why he can be considered the best ADC in the world. Deft was caught in the middle and quickly blown up, despite playing the long-ranged Caitlyn while Bang danced around the outside, throwing out a lot of damage. With his performance in this series, Bang reached an incredible milestone against KT: 1,000 career kills in the LCK. Bow down, ADCs, you have a new god. We wouldn’t be writing about a great series if KT folded, and in game two they were able to complete the snowball that SKT prevented in game one. Score worked with mid laner Heo “PawN” Won-seok to completely shut down Peanut, while Faker largely left his jungler alone. Peanut never recovered from a poor level one, and Score returned the favor by camping for PawN. KT’s victory was much more convincing than SKT’s game one win, and it looked like they were in control of the series. That control would extend into game three as KT again built kill advantages with multiple pushing lanes. 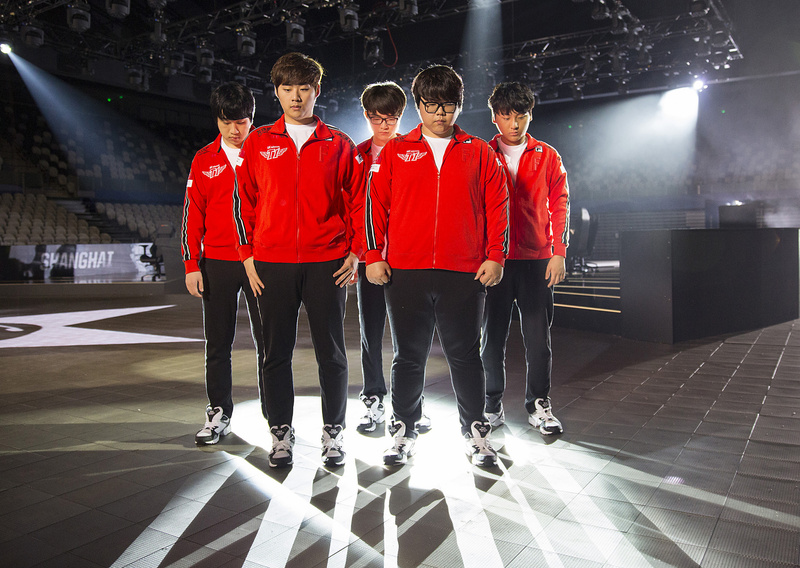 Just when it looked bleak for SKT, their new top laner, Heo “Huni” Seung-hoon saved the day. Huni has been criticized in the past for choking in big moments. Last year, he fell apart in both spring and summer using a curious array of pocket picks (top lane Lucian into Braum support???). Two years ago, he was thoroughly undressed in the Worlds semifinals by Song “Smeb” Kyung-ho, now his lane opponent on KT. And in game three, SKT picked Rumble for him. Rumble is a champion that Smeb is intimately familiar with. This could have been a catastrophe yet again. Instead, it was curtains for KT. Huni’s aggressive nature sometimes lands him in trouble, but in a tense, bloody game it was exactly what SKT needed. 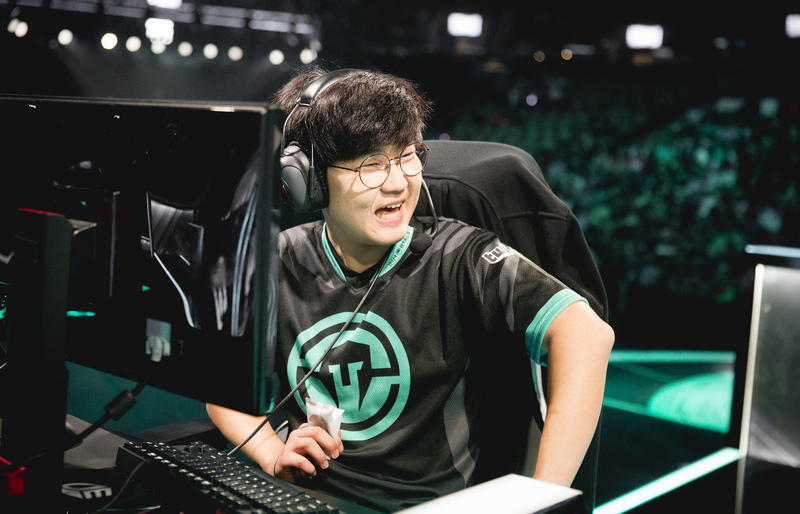 Time after time, Huni teleported in and turned fights with his Equalizer. Two, three, four person ults devastated KT’s ability to fight. He flashed in for kills and got them. He was a monster. Faker was tremendous on Zed and Bang was incredible on Jhin. But Huni won SKT the match, finally beating Smeb in retribution for their last meeting. The good news for fans after such an incredible match? The next meeting comes in just three days as the teams face off again early Sunday morning (3am ET, 12am PT).